Reading David Graeber made me feel a hankering for some info about ancient times, so I decided to go with the basics and read the translation of Herodotus that I’ve had on my kindle for three years. In a very broad and sprawling way, this is basically a history of early Greece and its wars with Persia. And it’s the major source for much of what we know about the period. 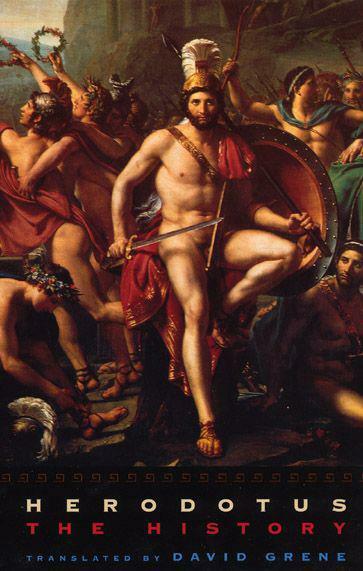 I believe the story of King Leonidas and the three hundred originates in Herodotus, for instance. Herodotus is fascinating. He has a reputation for being pretty off-the-wall and not nearly so careful and fact-based as the other great Greek historian, Thucydides. Herodotus is basically repeating stories that he’s heard. Many of the stories shade into legend. There’s lots of intervention by Gods and consulting divine oracles and princes being rescued by kind shepherds and raised as their own. That’s the kind of gritty little fact that you don’t generally see in a work of myth. So far, my favorite part was when King Croesus of Lydia decides to set up a test to see which of the oracles is a real oracle and which is a false oracle. He basically sends messengers to all the oracles and gives them instructions to ask them, on a particular moment of a particular day, what Croesus is up to. And then they’re to bring their answers back to Croesus so he can compare them and see who got it right. Now that is a pretty neat story. You gotta wonder why none of the ancient Greek heroes bothered to do something like that. The oracle with the best spy network, wins! Oh man, I spectacularly failed to read most of this in IHUM when I was supposed to, and I’ve regretted it ever since. Past Becca, what ‘better things’ did you have to do at that time? What were you thinking? This stuff is amazing! That seems like WAY too much reading for an intro freshman class. That having been said, you should read it. It is pretty zany.